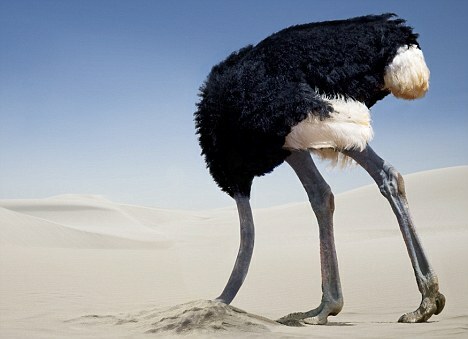 Watching the news lately makes me feel like this ostrich. How about you? I keep thinking that if I don’t watch for awhile, maybe certain groups will stop being barbaric, runaway diseases will somehow be cured, and the home front will feel safe and predictable again. If you don’t know what I’m referring to, maybe you are an ostrich! The Isis wannabe in Canada this week who shot up Parliament got me thinking that I would like to be an ostrich–or maybe an isolationist. George Washington and Thomas Jefferson both advised the nation when it was new to avoid “entangling alliances” or from becoming too politically involved with other countries. As a history student, whenever I’ve been reminded of that, I thought that sounded so strange–we were part of a larger world whether we liked it or not, right? And, as Japan’s history has shown, you can try really, really hard to close your borders to foreign people and ideas, but it just isn’t possible. This is especially true today. A simple day at my school shows that the cats are way out of the bag, and they can never be corralled back in. People from many, many cultures (including lots of fresh immigrants from around the world) populate my school. Most of the time, I feel richer because of it. Every once in awhile, however, the world seems like a scary place and I want to draw the curtains and hide until it all gets better. But maybe, as Christians, we should be thinking more like eagles than ostriches. Eagles are brave, sharp-eyed, and at least in certain novels like the Lord of the Rings, can come to the rescue like a hobbit’s best friend. Some Christians in past generations have flown like eagles to far-flung places. They left their homes and families, traveling by ship or camel or canoe, to extend Christ’s love to people who had never before had a chance to hear the name of Jesus. Some Christians today still board airplanes and try to share God’s love and compassion with people around the world. While not every mission effort in history was perhaps the best in terms of sensitivity to the people the missionaries encountered, and there were lots of unintended consequences (like the spreading of new diseases), I believe that they meant well, and did much good that is often overlooked. Christianity Today (January 8, 2014) shared the meticulous research of someone who found, much to his surprise, that democracy, women’s health and education, (and other factors of a healthy society) are greater in places where evangelistic, Protestant missions have taken place. Today, most of us don’t have to leave home or travel very far to find a world of people who still need to hear the good news of Jesus Christ. While we can’t evangelize at school, we can extend love–a love that surpasses all understanding, a love that is sacrificial and can change the world. Whether this means being alert for bullying against Muslim students on the playground or showing patience and kindness at the grocery store toward someone who is struggling with their English or with counting American money, we can all be missionaries right here at home. The world has never been closer to home, or easier to find. Will you be an ostrich or an eagle? The image was found on http://www.coolgizmotoys.com. This entry was posted in Being a Good Neighbor, Diversity, Faith, Japanese history, Loving our Neighbors and tagged Christianity Today, diversity, Missions. Bookmark the permalink. 2 Responses to Ostrich or Eagle? I know exactly how you feel. The head in the sand helps me from twisting my neck at the head turning events going on. But rather than eagle, that often flies alone, I aspire to be a goose. Not in the silly way we think of that word… But in the way they fly together, share leadership, are natural immigrants, and have a direction. We will ignore the mess they leave on the lakeshore for now. Thanks for sharing your insightful perspective. Always a good read. Tom, thank you for reading, and for your thoughtful comment! I love the picture of the geese flying together, sharing the responsibilities of leadership. Thank you for that! Have a great day!